Roeckl Chester/Roeckl Grip Riding Glove. Feel the difference with the Roeckl Leisure and Tournament glove. This riding glove is supple, permeable and durable will perform to the highest standards. Exclusively from Roeckl. 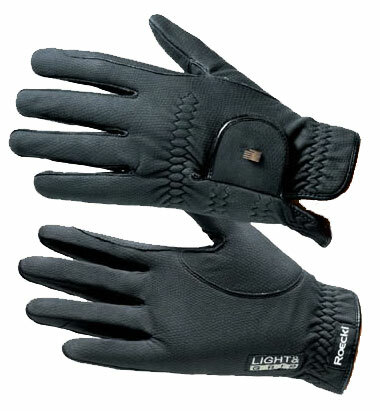 Roeckl Chester glove is a lightweight and close fitting, made from Vesta Synthetic leather. The riding gloves provide a sensitive feel on the reins, coupled with an excellent grip. The material is fast dyed and therefore machine washable at 40 degrees C. The Roeckl tab fastener across the back of the hand adjusts for a snug individual fit. 175 years of Roeckl Glove tradition. Roeckl Gloves are the choice of champions.